The plan to tax savers’ deposits in Cyprus's ailing banks will deepen political fault lines in the Eurozone—and hurt local people first. The kaleidoscope spins again; the shards are rearranged; this time, the fragment at the centre is Cyprus. Faced with yet another country needing an urgent bailout (and with the German election looming in September), Eurozone leaders and the IMF have come up with a new wheeze: make savers pay to rescue the banks that were meant to look after their money, in exchange for a bailout of 10 billion euros. Not unreasonable, you might say: Why should the proverbial German taxpayer cough up for Russian oligarchs and shady foreign businessmen who’ve stashed billions on the island? But the plan will take a cut from everybody’s savings—farmers, pensioners, orphans, oligarchs and oil magnates—on a roughly graded scale. (The proposed levy on accounts under 100,000 euros—which were in theory guaranteed by the Cyprus government—will probably now be reduced from 6.7 percent to 3.5 percent, which reminds me of the sage Nasrudin Hoja’s advice to the man whose house was too small.) Over the weekend Cypriots queued at cash machines; one man drove his bulldozer up to the door of the bank. As the newly elected government of President Nicos Anastasiades postponed a vote on the plan and closed the banks until Thursday, the blame-shifting began: Was it Anastasiades who sold out the small savers to keep the Russians sweet, or the Troika heavies who showed him the brass knuckles? (Answer: it’s complicated, but there were brass knuckles.) Vladimir Putin weighed in, calling the plan unfair, unprofessional and dangerous. 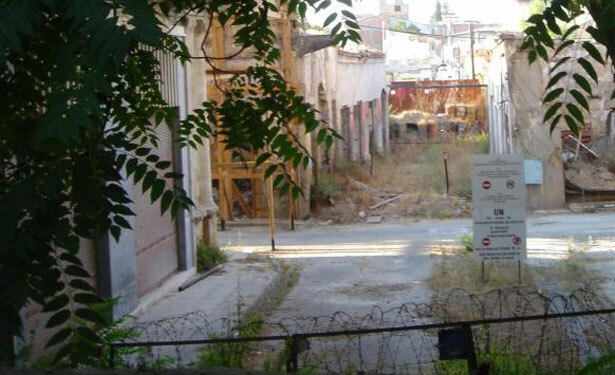 Russia has loaned Cyprus 2.5 billion euros; the EU is hoping it will extend the terms. Two, it matters because with both ends of the economic spectrum lining up against it, the latest Band-Aid offered for the ailing Eurozone looks more and more like a crowbar to help tear it apart. The European Union, a liberal project with the twin goals of preserving peace and solidarity and facilitating commerce, always had opponents on both left and right. As the crisis deepens and peace and solidarity drop out of the equation, those voices are getting louder, not only in Greece and Italy but in Scandinavia, where far-right parties are rising, and in Britain, too. The anti-immigration UK Independence Party beat the Tories to second place in a recent by-election. Cyprus, a former colony, is home to several thousand British retirees; the front page of the Daily Mail today denounces the great eu bank robbery. The financial “contagion” from the Cyprus bailout might be containable; the political fallout will be more problematic. Last but not least, it matters because Cyprus matters. Always in the cross-hairs of Great Power rivalries, betrayed by its former colonial masters, pushed and pulled by the politics of its neighbors Greece and Turkey, the island has struggled for decades to shape its own destiny. When the crisis hit Greece a couple of years ago, a Cypriot friend wrote to me, “Don’t bring us down with you, the way you did last time.” She meant 1974, when the junta in power in Athens launched the coup in Cyprus that sparked the Turkish invasion that split the island in two. Cyprus’s fall this time is due in part to its exposure to Greek bonds, which were given a short back and sides last year by the same financial wizards who have hatched this latest plan. You might be forgiven for thinking that those wizards want the Eurozone to fall apart. But that’s conspiratorial, and gives them too much credit. Like the British in Cyprus the 1950s, they’re trying and failing to juggle their own contradictory interests. And as in the 1950s, it’s the locals who’ll get hurt first. In Hungary, protesters are hitting the streets for basic rights. Check out Laura Flanders's take.